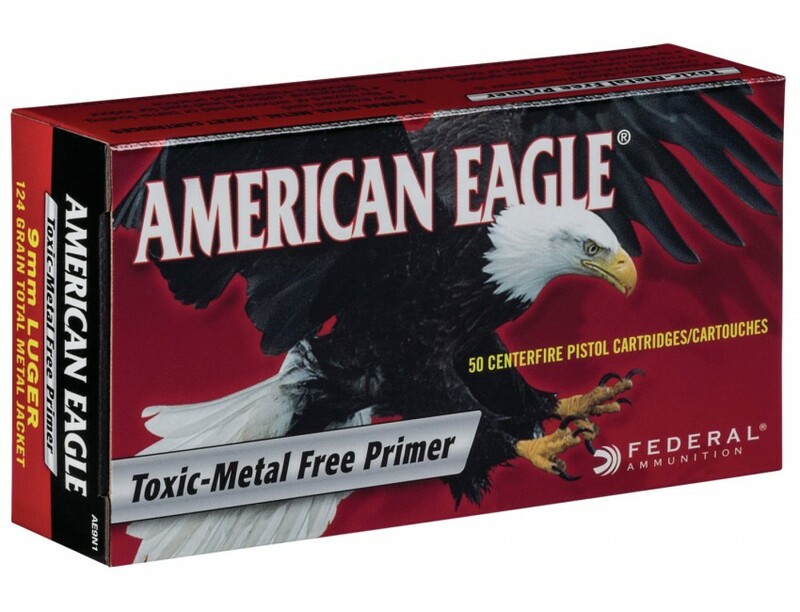 Federal Premium American Eagle Handgun Ammo for Personal Protection/Target. 40 S&W, 165 GR, Full Metal Jacket. Box price, 50 Rounds/Box.